SIM there is a flagship store will be closed. I was with the intention of closing the Tokiten that here disappears from moving to this SIM. So my shop will be closed. Of each branch product is removed already. This group will not be able to have a new admission is closed in the future. Thanks to the people who have said that good. 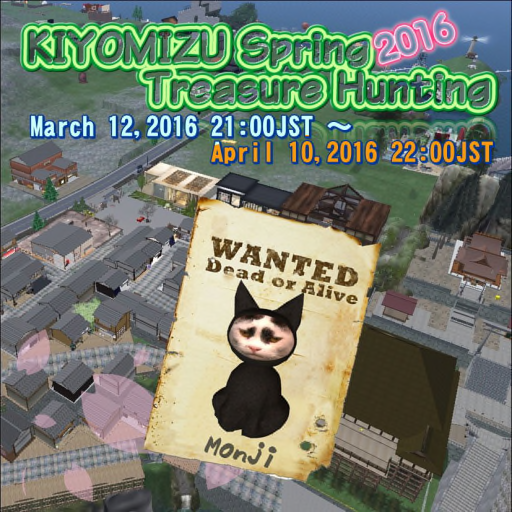 Kiyomizu spring Treasure Hunting 2016 officially started! *pulcino* is participating too. Let's find out black cat "Monji". 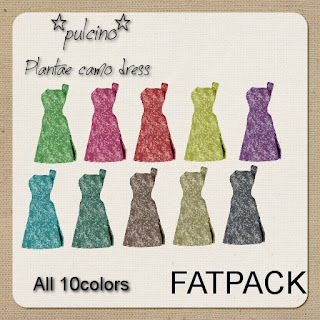 *pulcino*'s prize is MESH dress. It is one piece of one shoulder. This is a pastel color springlike. This can be changed in 5 colors at HUD. i will do this hunt from start to end. I has released a new stuff. It is one piece of camouflage pattern. From the original camouflage pattern was in bright shades of textile difference. Orange color is DEMO gift colors!